One of a great fighting female MMA athletes in the world - Germany's Sheila Gaff (9-6, 4 KO, 5 Sub) will fight against Ariane Lipski (7-3, 5 KOs) in main card KSW 36, October 1 in Zielona Gora. The 26-year-old, has the nicknamed "German Tank" she won many impressive victories on the European stage MMA, including a 10-second knockout over current best female fighter of the world, flyweight category, champion Jennifer Invicta FC Maia. For the awesome fighting Lipski, this will be the second performance in Poland. In December last year, 22-year-old defeated in style against Catherine Lubońska at KSW 33. The winner of the tournament Aspera FC: Road to KSW - Renato "Pezinho" Gomes Gabriel (19-8, 12 KO, 4 sub) face with Matthew Gamrot (11-0, 4 KO, 2 Sub) in one of the three main fights on KSW 36, October 1 in Zielona Gora. For undefeated fighter Ankosu MMA Poznan will be the first to defend of the championship title in the lightweight. The 25-year-old won the belt in May, beating at KSW 36 outstanding Frenchman Mansour Barnaouie. It was the seventh victory of the popular "Gamera" in the ring and cage of the largest MMA organization in Europe, the seventh without the loss of even one for the opponent. 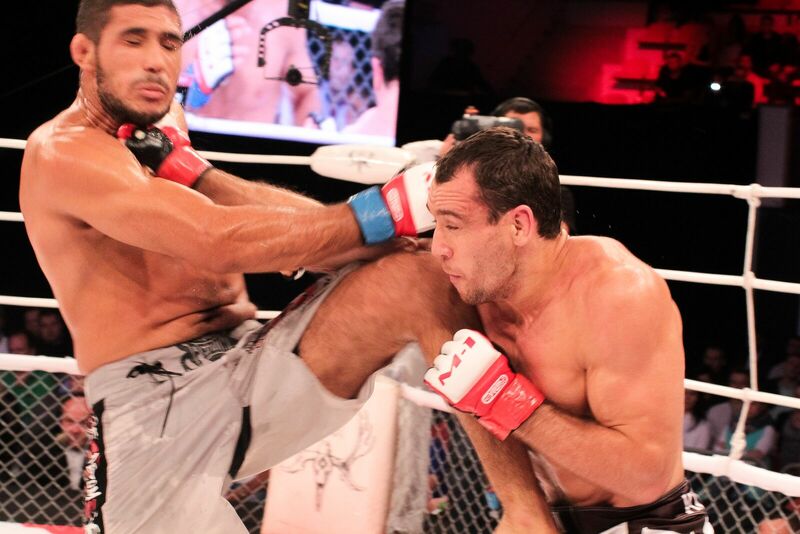 The 29-year-old Brazilian secured his engagement in the KSW as he won the July tournament Aspera FC 41. Effectively fighting striker needed less than six minutes on the dismissal of Fernando Aparecido and Thiago Naty. Former M-1 welterweight title contender Maxim Grabovich is injured and can't fight on today. The prominent Brazilian fighter Eduardo "Camelo" Ramon (11-2) steps in to fight Alexey Kunchenko in a non-title, but still main fight of the M-1 Challenge 70. Eduardo Camelo is a great all-round fighter, Master of Brazilian Jiu-Jitsu and solid striker. He is extremely good in his stand-up and parter fight. In the end he was the only one who agreed to step-in on such a short notice and come to Russia less than a week before the date of fight. MMA fans should expect a great fighting performance with a high probability of an early finish! Don't miss it today!